A couple of weeks ago, we discussed Online Reputation Management here on dirjournal.com. We received feedback (and comments) about preventing the need for crisis management (the example case study that is covered in that article). One of the recurring themes was that of community building, as a strategy to handle online reputation management. After all, that is basically the method that I recommended, eh? In the case study, it was the use of the happy alumni of a particular college in putting out the positive vibes to offset the negativity that one nasty person tried to do. And, hey, it works! So, with the topic of “community building” on my mind, I sought out a good friend of mine, Madalyn Sklar. She is the fearless leader of the GoGirls Community. It is a community of female musicians who have been around for what, 20 years?! It is the first of its kind and one of the oldest communities that can still be attributed to a mostly Internet basis. They have also taken it offline and done some fabulous things like raising $18k for charities, their very first year, in their annual GoGirls Festival. But, hey, don’t take my word for it, listen as Madalyn shares the story in the following video conversation. And, listen as we ramble about rescuing dogs and loving them and all that cool positive vibe stuff. This is Madalyn and who she is and I’m sure she will inspire you in your community building efforts! 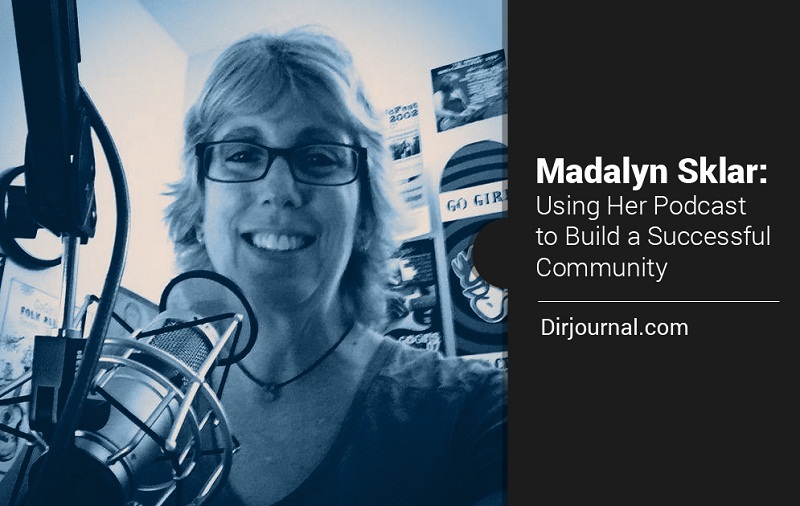 So, the purpose of the interview/chat was to have Madalyn share some tips about community building (which she did marvelously! ), but there was another recurring theme and that is how she has been using her #TwitterSmarter podcast to build yet another community. This particular community is only five weeks old, proving that you, too, can do it, even if you are just starting out now. That is something that is encouraging since I just moved my successful #SocialCafe from its 4-year-running Tuesday night to Thursday afternoon. But, if Madalyn can do it, so can #SocialCafe! Besides, it is collective love, having loaned the #shamelessPlug and “same bat time,” as well as some podcasting training to Madalyn and her community. That is the internet at its best, sharing insights and growing the global community! This article is not about the podcasting, per se. The point is to see that you can create a community with YOUR dream, whatever it is! (See the last section of this article.) If you really want to learn about podcasting, pay attention to the new site, epodcast.net where I am there to answer your podcasting questions, just like I did with Madalyn! Speaking of sharing, Madalyn was my inspiration to start Twitter Chats, within her first year with #ggchat. Then, I pestered Ann Smarty to start #MyBlogGuest Twitter Chat. It is now #MyBlogU and she has also started #ViralContentBuzz. Are you catching a theme here? Building communities is contagious! It is also a matter of just getting it done à Just Do It! 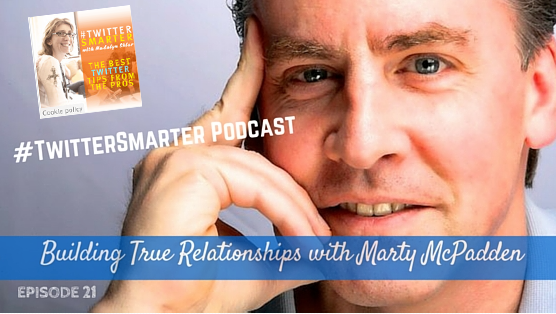 If you are building an online community (that is what we are talking about, right?! ), ensure that you have your tools ready for you. There are a lot of cool tools that I cover in the interviews at WebToolsTV.com. However, the key toolbox you need here is the one that covers the social media management. I realize that we have been talking quite a bit about Twitter but Twitter is not the only game in town (sorry, Twitter!). And, even if you are building your community with Twitter, you need to ensure that you have the other social media bases covered, as well. Cross-promoting on all the social media networks is basically a “must-do” and you never know when your community shows an affinity for another network and you start to give that other network some additional attention and love. The key thing is to ensure that you have your toolbox ready and you have your content strategy in place and ready for the overnight (ok, we can dream, right?!) success of your community-building efforts. In your eagerness to build the community, don’t forget to ensure that you have the basics covered. We just mentioned tools, but some other aspects that you want to prepare are things like your graphics. You will want to ensure that you have your branding in order and define the logo or graphic that you will use for your community. It may even be a variation of your logo. The reason for this is that you will have brand recognition and when people see the related graphic(s), they will remember you and will be more likely to click on the link. If you notice, Madalyn does a great job of creating consistent graphics for her #TwitterSmarter course, podcast, and community. They all tie together. There are popular DIY tools like Canva, available online and accessible at any location, to help you get the job done. If you are challenged in the area of coming up with a graphic, you could use crowdsourcing sites like Designhill for eye-catching custom graphic designs. Don’t Give Up.. no matter what! You are going to be tempted to throw in the towel. This is especially true if you show up at an event and no one else shows up and you allow all that negative self-talk into your head. Don’t let it in! Like Madalyn said, even if you have to talk to yourself, show up at your own event and let it rock! I can’t tell you the number of times that I have said #SocialCafe and people have said, “Oh, …” and they proceed to tell me how much the event and the material has touched them and encouraged them. So, appearances can be deceiving. Even if it doesn’t look like it is much, it is likely touching people and you just don’t know it! So, go forward, knowing you are touching people. If money is the only interest you have, then I get it it, it is an evaluation of ROI (return-on-investment). Two thoughts for you. If you are only in it for the money, then that may affect your community-building efforts. People can tell when they are loved and just as Madalyn Sklar has proven with her communities, they feel her love and keep coming back for more! I am in the Psychology field (I/O Psychology) and I can’t tell you how many times I have talked to my colleagues and it really is a sort of thing of “building a place of belonging” and they people will find you. That is how it works with us humans! So, build it! Back on that money focus… So, if that is your focus then I understand that if you evaluate your efforts and it is not providing you with your desired ROI, ok, then maybe you want to re-evaluate and strategize. But, still, don’t give up. Instead, re-package into another strategy that works for you and provides you with what you are seeking. Finally -> Think Outside the Box! Even though Madalyn Sklar is a seasoned community-builder (and mega influencer! ), she has actually gone outside the box to build her community through her podcast. She already had the course (#TwitterSmarter course), but once she added that podcast (five weeks ago), the course fell right into place in the overall strategy and the rest is, as you could say… history. So, are you ready to make some history, with YOUR community building? Who’s Really Viewing Your Facebook Profile?